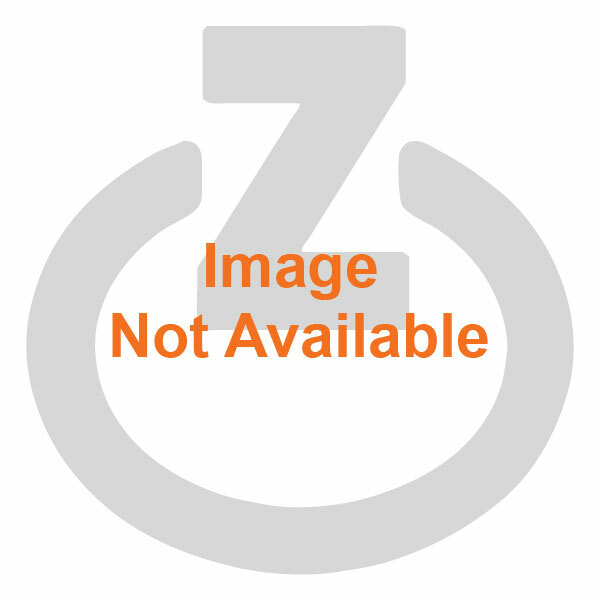 zDock® SK84A Unified Desktop Charger (with certified AC adapter) for Polycom 8400 / 8450 Wireless Handset. 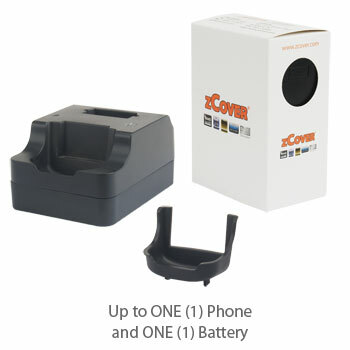 The Desktop Dual charger allows users to charger ONE (1) handset with our licensed Dock-in-Case® solution and ONE (1) spare battery simultaneously. Users can charge their phone with or without the cases on. 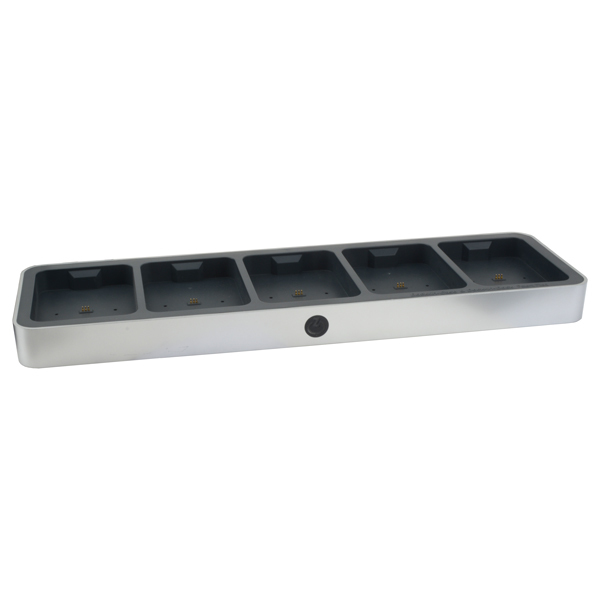 It's upgradable to any of our Multi Docking System to charge more phones and more batteries while it's needed. 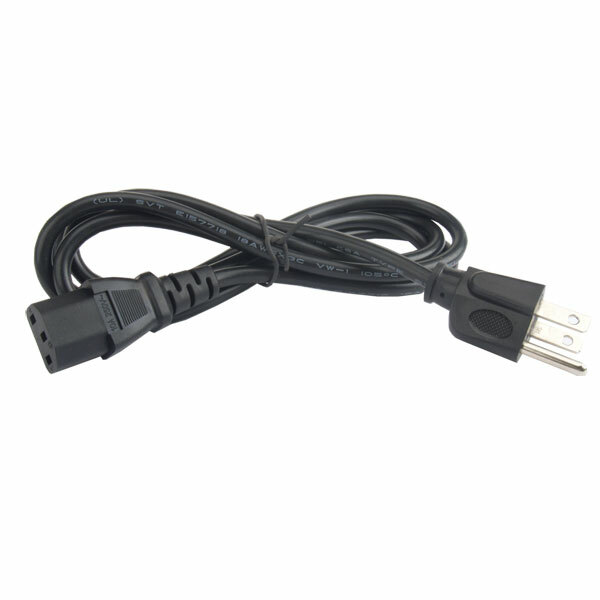 It is compatible with original Polycom Dekstop Dual charger. While charging, handset is still accessible for any input. Battery charge states is indicated with LEDs on the charger to show you the battery charging status. You may monitor the phone attached battery charging process on the phone screen. The charger is designed with smart charging sensor which will direct more power to the handset to charge the phone internal battery first, and then redirect the power to the spare battery once the phone is completely charged. And also, the Desktop Dual Charge will switch to a trickle charge automatically when both phone & battery are fully charged. 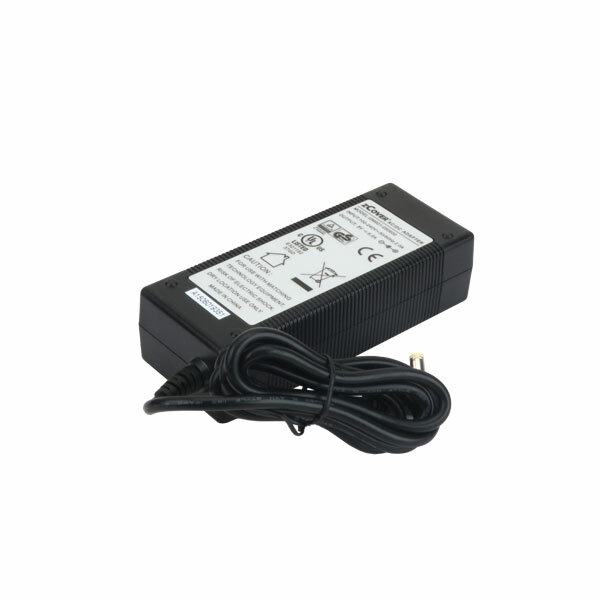 SK84AUDA Unified Desktop Dual Charger comes with certified zCover Global AC Adapter. 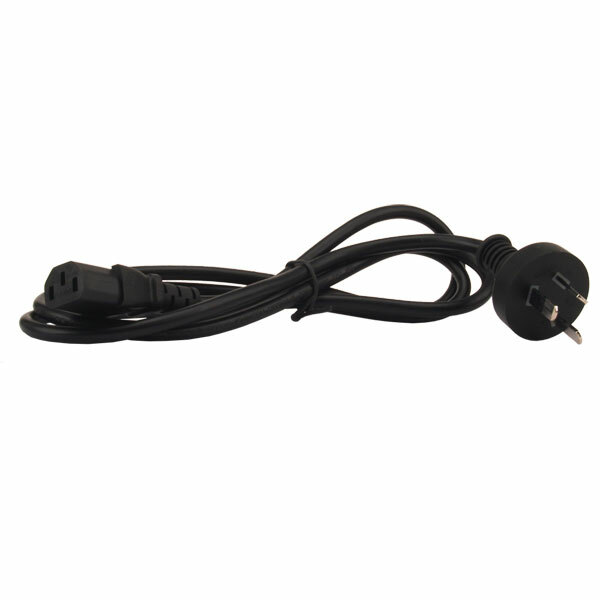 The charger can charge the handset and battery twice faster than using other power supplies. Handset and spare battery can be fully charged in 2 hours. The intelligent battery temperature monitor will discontinue charging once the battery temperature reaches 113°F (45°C). The Desktop Dual charger is totally upgradable. 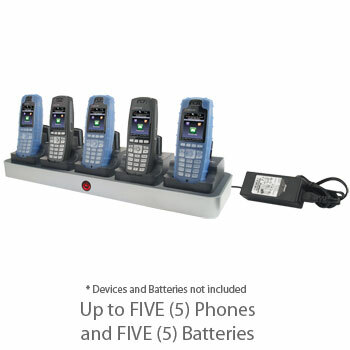 You may anytime upgrade your Desk Top Dual chargers (SK84AUDA) to our Unified 3-Bay Charger (SK84AU3A) to charge up to THREE (3) phones & THREE (3) batteries, or Unified 5-Bay charger (SK84AU5A) to charge up to FIVE (5) phones & FIVE (5) batteries, or even to self build a Unified Modular Docking System by mixing and matching different models of chargers for your own workstation. 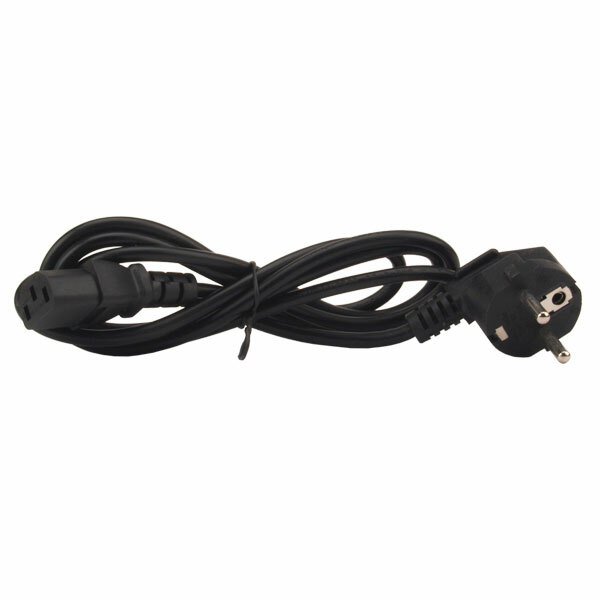 SK84AUDA Desk Top Dual Charger is compatible with our Universal Wall Mount kit (ZDUPSWMT, sold separately) . You may mount your charger to wall to save working spaces. 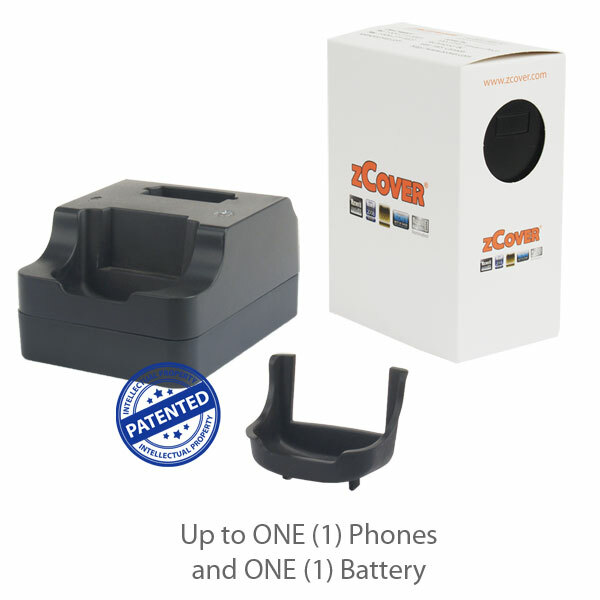 The Desk Top Dual Charger is part of zCover Unified Modular Docking System. You may mix and match different models or even different brands of desk top chargers to customize your own Unified Modular Docking System. It can hold and power different phones and batteries simultaneously to save desk top spaces and wall outlets. 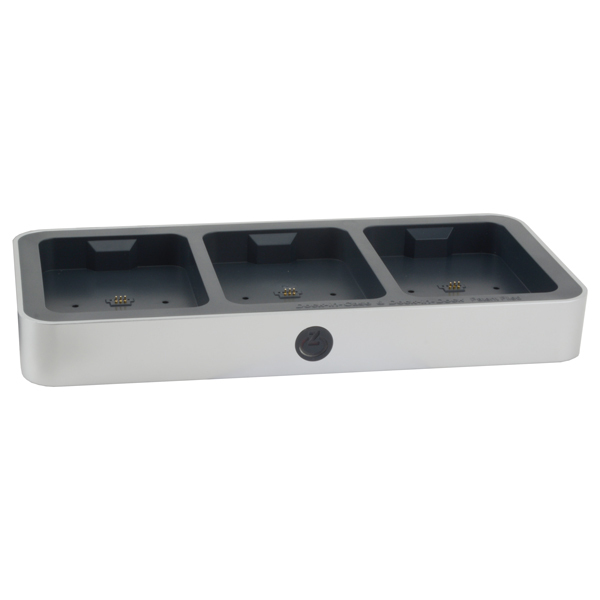 zDock® SK84A Unified Multi Docking Solution is built with THREE (3) Desk Top Dual Chargers in the 3-bay rack (with certified AC adapter) for Polycom 8400 / 8450 Wireless Handset. It's ideal for environments in which users have multiple shifts and must keep their phones & spare batteries charged throughout the day. 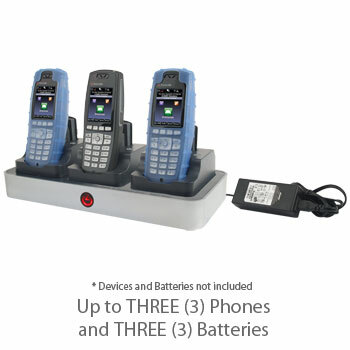 This multi-charger can charge up to THREE (3) handsets with our licensed Dock-in-Case® solution and THREE (3) spare batteries simultaneously. They're all interchangeable & scalable with our Unified Modular Docking System. While charging, all handsets are still accessible for any input. Battery charge states are indicated with LEDs on the charger to show you the batteries charging status. You may monitor the phone attached battery charging process on the phone screen. The charger is designed with smart charging sensor which will direct more power to the handset to charge the phone internal battery first, and then redirect the power to the spare battery while the phone is completely charged. And also, the Multi Charger will switch to a trickle charge automatically when all phones & batteries are fully charged. 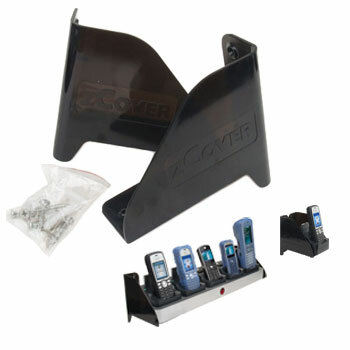 Our licensed Dock-in-Case® solution allows users to charge their phones with or without the cases on. You may upgrade your Desk Top Dual chargers (SK84AUDA) to our Unified 3-Bay Charger (SK84AU3A) to charge up to THREE (3) phones & THREE (3) batteries, or Unified 5-Bay charger (SK84AU5A) to charge up to FIVE (5) phones & FIVE (5) batteries, or even to self build a Unified Modular Docking System by mixing and matching different models of chargers for your own workstation. 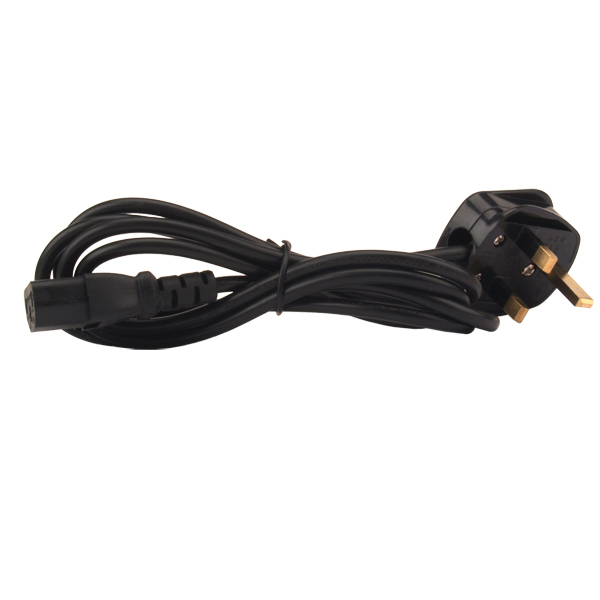 SK84AU3A Unified Multi-Charger is compatible with our Universal Wall Mount kit (ZDUPSWMT, sold separately) . You may mount your chargers to wall to save working spaces. 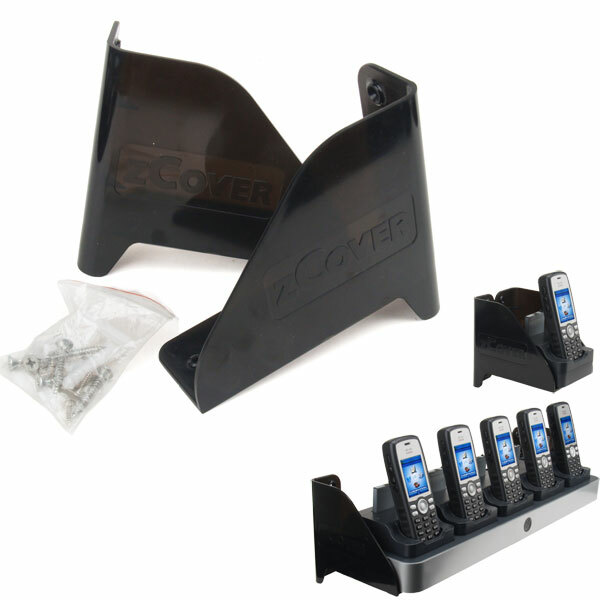 This unified Docking Rack is part of zCover Unified Modular Docking System. You may mix and match different models or even different brands of desk top chargers to customize your own Unified Modular Docking System. It can hold and power different phones and batteries simultaneously to save desk top spaces and wall outlet. zDock® SK84A Unified Multi Docking Solution is built with FIVE (5) Desk Top Dual Chargers in the 5-bay rack (with certified AC adapter) for Polycom 8400 / 8450 Wireless Handset. It's ideal for environments in which users have multiple shifts and must keep their phones & spare batteries charged throughout the day. 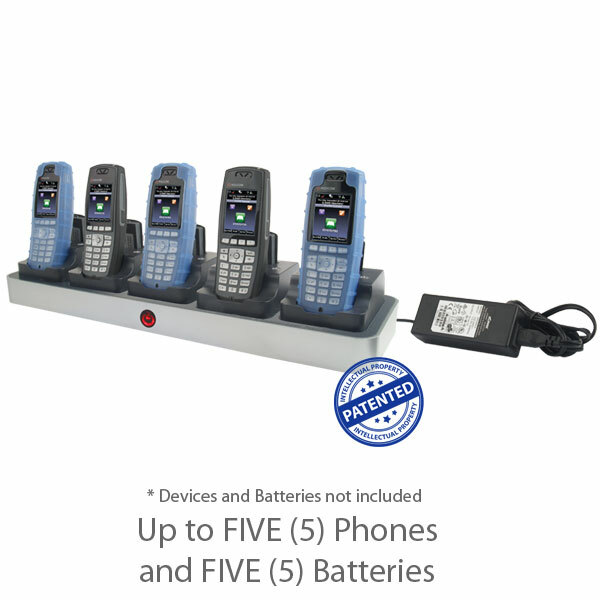 This multi-charger can charge up to FIVE (5) handsets with our licensed Dock-in-Case® solution and FIVE (5) spare batteries simultaneously. They're all interchangeable & scalable with our Unified Modular Docking System. 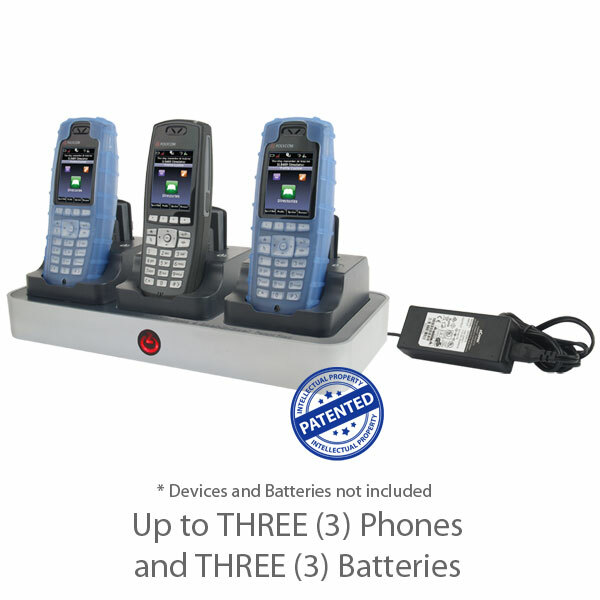 Our licensed Dock-in-Case® solution allows users to charge their phones with or without the cases on. You may upgrade your Desk Top Dual chargers (SK84AUDA) to our Unified 3-Bay Charger (SK84AU3A) to charge up to THREE (3) phones & THREE (3) batteries, or Unified 5-Bay charger (SK84AU5A) to charge up to FIVE (5) phones & FIVE (5) batteries, or even to self build a Unified Modular Docking System by mixing and matching different models of chargers for your own workstation . 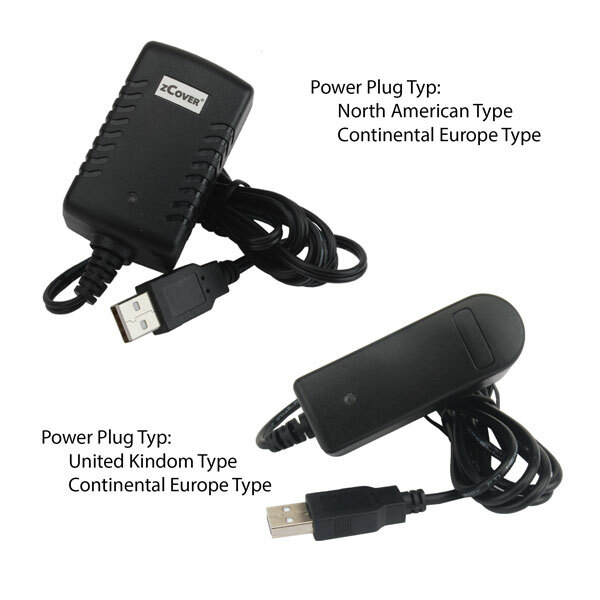 Unified Multi-Charger is compatible with our Universal Wall Mount kit (ZDUPSWMT, sold separately) . You may mount your chargers to wall to save working spaces.